Built in the quiet suburbs of Thornton, Colorado, Skyline welcomes you home to a charming, pet-friendly community with spacious apartments and premium amenities. Located a short distance from downtown Denver and the Rocky Mountains, residents are within minutes of the region’s best shops, restaurants and entertainment. Inside Skyline’s one and two bedroom apartments, appreciate the comfortable atmosphere throughout every room. 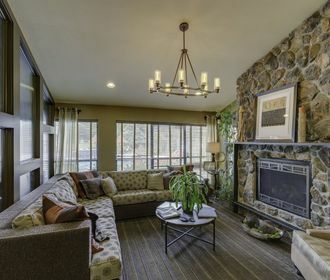 Large living rooms feature wood-burning fireplaces and access to private patios or balconies with outdoor storage. 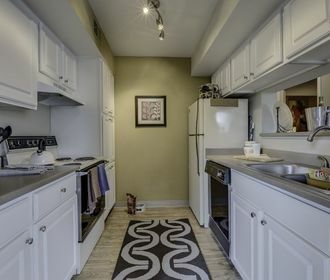 Upgraded layouts offer elegant interior details, such as wood-style flooring and updated kitchen appliances. Other upgraded features include washer and dryer connections or in-home, stackable laundry appliances. Throughout the beautifully landscaped community, residents can take advantage of the state-of-the-art amenities. Soak up the sun at the poolside sundeck or relax in the lodge-inspired clubhouse with a wood-burning fireplace. 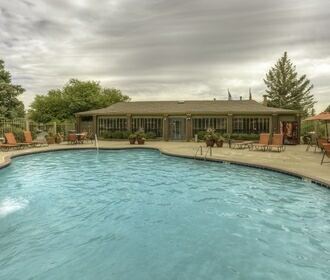 Located just off Interstate 25, residents have easy access to the RTD bus route, downtown Denver and more. Contact a friendly leasing agent for more details.